First, thank you everyone that’s been messaging me. I’m already aware of these certain people that been saying stuff about me. One of them been harassing me for years, which is why I took my mods down from the Nexus before but I won’t be bullied. 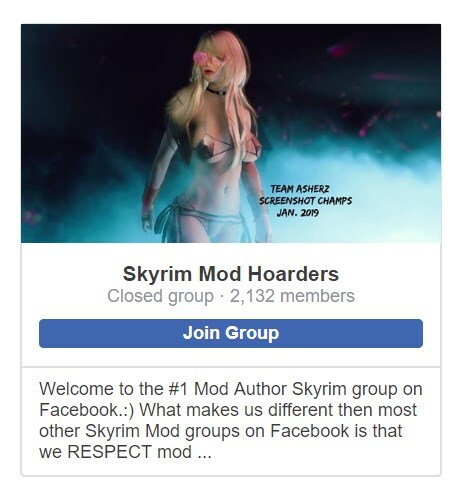 I’m aware of the all the post and how this particular Skyrim modding group admins on Facebook have been relentlessly attacking me. Yes, it’s true that one of the main people behind the harassment scammed me out of a gaming rig, hundreds of dollars by pretending to have a devastating disease. I don’t make much money but I felt the need to help, little did I know what would happen next. Anyway, out of respect for the Nexus Admins and (fear of their banned hammer) I won’t be mentioning names or discussing this anymore on the Nexus. I just wanted to take a moment and thank everyone for the support you’ve had shown during their relentless attacks. Nuff said, download my mod, endorse and share some pics plzzzz.. thx happy gaming! 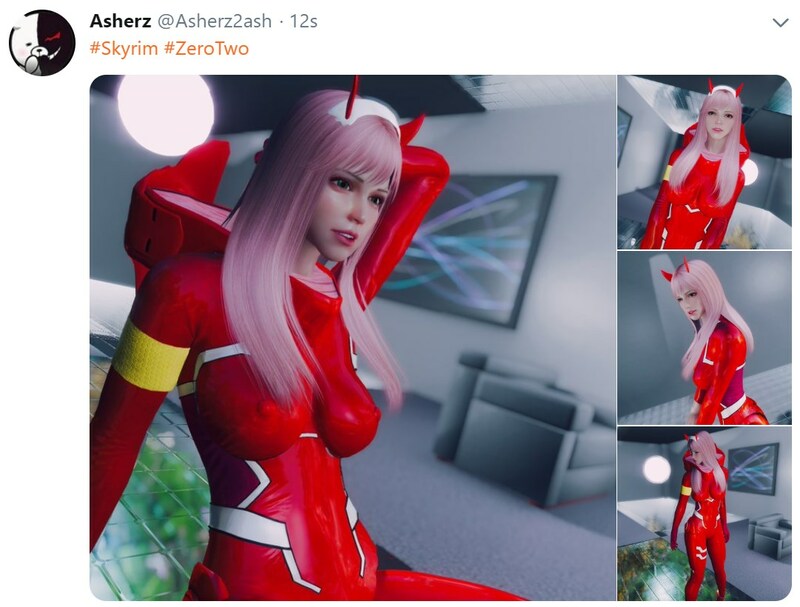 **GRIM ZeroTwo X Shademzu: ESP Plugin is not required for this followers default outfit BUT There’s many more options in Grims ZeroTwo outfit mod so I recommend using the esp for all the other outfit styles. Please Note – My follower mods often share the same file path. I do this to make my mods more performance friendly and to take up less space on the harddrive. So if you have one of my mods installed this may ask to overwrite all for NMM, you can choose either yes or no, it doesn’t matter.. Same goes for MO, you’ll see conflicts but they really aren’t conflicts.. This mod does have an update to the director cut body, small update that puts a little more cushion in the tush… a little more junk in the trunk. 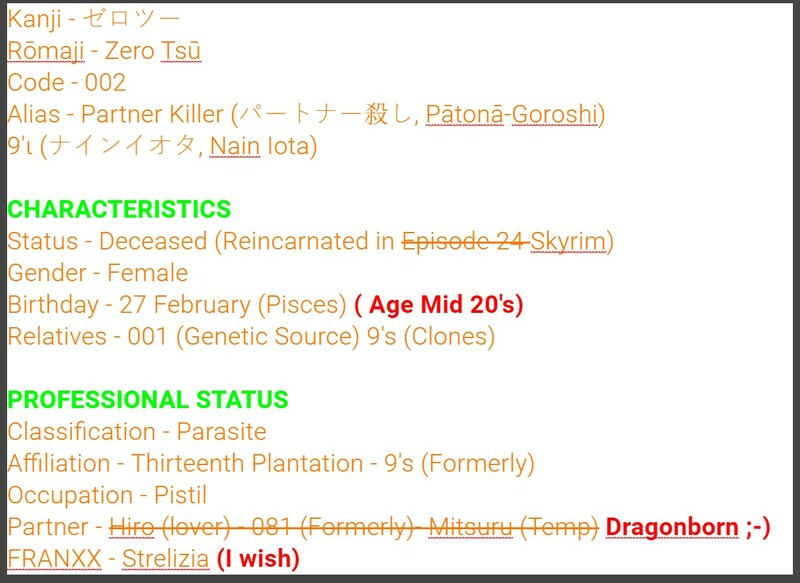 not much just a small tweak..
so you may want to “yes to all” or MO set to have priority but again it doesn’t really matter so it’s up to you. **IMPORTANT: Default and Directors Cut are not compatible with each other. The facegen will cause a body and head color mismatch if you mix the versions up. So be sure to remove the previous version before installing the other version. You probably don’t need a clean save but it certainly wouldn’t hurt..
Not sure about the school uniform, any ideas? TOO ALL MY HATERS!! ALL 4 OF YOU.